With countless numbers of security tools boasting “AI and machine learning capabilities,” AI has become something of a buzzword in the security world. But sometimes, there’s some truth to the hype. 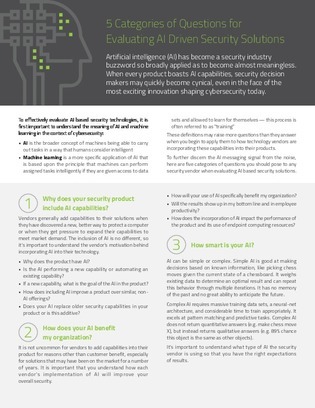 Why does your security product include AI capabilities? How is the AI maintained?